The latest version of the miner specifically optimized for Grin mining on the Sapphire RX 570 16GB mining video cards ePIC Boost Miner supporting both Cuckaroo29 and Cuckatoo31 is apparently capable of delivering up to 2.6 G/s for Cuckaroo29 at 163W and up to 0.47 G/s for Cuckatoo31 at 195W if you have a top specs computer used for mining and not what a traditional GPU mining rig looks like. These results are for a mining rig with i5/i7/i9/Ryzen Multithreading CPU, PCIe 3.0 with Atomics and AMD ROCm Linux driver. If you use a low-end Celeron/Pentium CPU, like most GPU mining rigs do, PCIe 2.0 bus for the GPUs and the AMD GPU Pro driver you will be down to 1.5 G/s for Grin29 and 0.35 G/s for Grin31 according to the latest official performance results. Now, how does an Nvidia GTX 1080 Ti with 11GB of video memory compare with the currently fastest Cuckatoo31 miner NBMiner 21.0 under Windows 10 on a normal low-end mining rig with a Celeron CPU. You can easily get about 1.3-1.35 G/s with about 200W of power usage (lowered down TDP of the GPU, up to about 1.45 G/s with stock TDP) to get similar power usage as with the AMD. You get almost three times the performance with the Nvidia at the same power usage with two to three times the price of the AMD mining GPU from Sapphire and without a number of specific requirements that are not easy for a lot of miners. 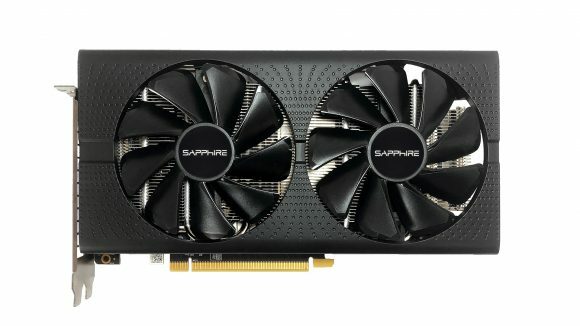 The answer to the question are the Sapphire RX 570 16GB mining GPUs worth it at the moment is a simple NO! But what about the performance for the upcoming Grin Cuckatoo 32 protocol upgrade planned for 2020… well, who knows, but what will you be doing by then?